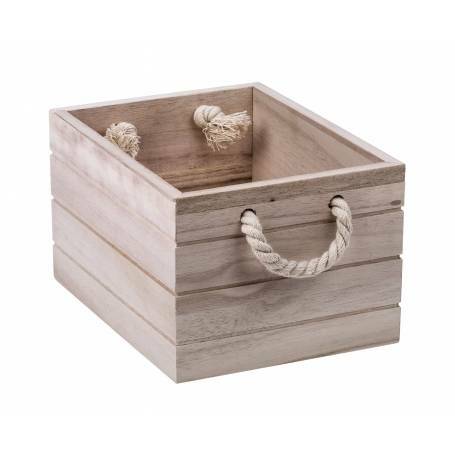 Keep everything organized with these wooden crates! These versatile boxes are made out of wood and will suit a variety of home decor. Use them to organize magazines, craft items, or even to hold bundles of flowers at your rustic wedding. Includes rope handles.